Women veterans were employed at higher rates than their male counterparts in 2018, federal data show. And it’s not just women. A military background also boosted the civilian job prospects for racial minorities that have historically had a harder time finding work. Bureau of Labor Statistics figures show the annual unemployment rate for women veterans was 3 percent last year — the lowest unemployment rate on record for this group in the 21st century — while male veterans had an unemployment rate of 3.5 percent. A military background boosted the civilian job prospects for women and racial minorities that have historically had a harder time finding work, the latest Bureau of Labor Statistics data show. (Jacob Sippel/Navy). Among post-9/11 veterans in particular, women again outshined men with a 3.5 percent unemployment rate, compared to 3.9. Breakdowns by race and ethnicity showed similar trends. White, black and Hispanic or Latina women who have served in the military since Sept. 11, 2001 all had lower unemployment rates than men of those races who did the same. The biggest gap was between black women, with a 3.6 percent unemployment rate, and black men, at 6 percent. The only exception was among Asian post-9/11 veterans, where men had an unemployment rate of 3.3 percent, and Asian women were unemployed at a higher rate of 7.4 percent. 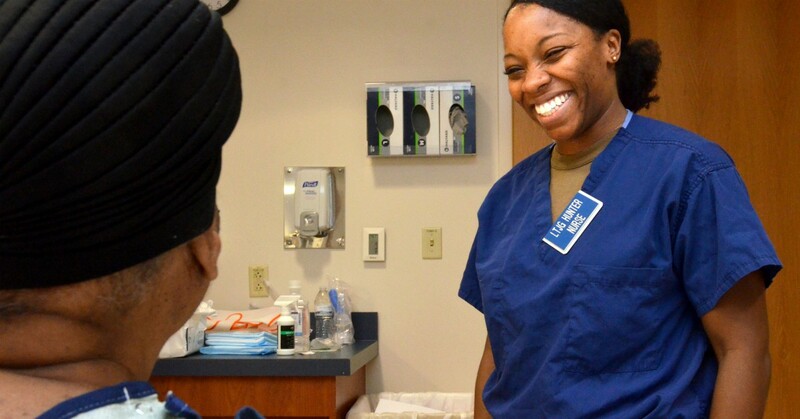 Anna Crenshaw, acting director of VA’s Center for Women Veterans, said women veterans are continuing to demonstrate their value to the country’s workforce. “VA is proud to deliver Veterans tools like education benefits and transitional assistance for sustainable employment in the civilian workforce,” she said. White veterans of both genders had a 3.3 percent unemployment rate, on par with white nonveterans. Military experience seemed to give an advantage to black, Hispanic and Asian veterans. The gap between black veterans and nonveterans, driven by the lower unemployment rate of black women veterans, was more than 2 percent. Robert Lerman, a labor economist at the Urban Institute, said it makes sense that veteran status reduced disadvantages in the job market that women and minorities have typically experienced. “I would say the typical black veteran is presumably a lot more work-ready than the typical black nonveteran. I mean, just to be able to get into the Army kind of requires some things. Not really that surprising that the veterans are [a] more select population,” he said. The labor force data is based on responses to the Current Population Survey by the Bureau of Labor Statistics and the U.S. Census Bureau, which captures an employment rate based on the population of people in the workforce, who either have a part-time or full-time job or are currently looking for one. Veterans were employed at higher rates than nonveterans, though civilians who have not served in the military are doing slightly better in the 25-to-34 and 35-to-44 age brackets, which comprise a large portion of the youngest generation of veterans. Advocates for veteran employment have warned against putting too much stock in the federal labor force statistics, which, they say, don’t paint a complete picture of how veterans are doing in the workforce. The statistics don’t track other measures of employment success, such as salary or job retention rates. The data also includes people who are employed part-time, so advocates maintain there’s more work to be done before declaring victory on the declining unemployment rate. Women veterans, especially, face significant challenges in the civilian workforce, said Kiersten Downs, an Air Force veteran and qualitative researcher for the Department of Veterans Affairs. She said women veterans often struggle with underemployment — jobs that don’t match their skill level — and imposter syndrome, or feeling a constant need to prove that they’re good enough. And many times, the same leadership qualities that are valued in their male counterparts can actually hurt women veterans with employers who aren’t used to direct communication. As a result, many women veterans have to renegotiate their identity and change how they think about themselves as women after the military, she said.